“Announcing that the board of trade is about to remove the ban on turned-up trouser ends, a tailor’s advertisement hails this as ‘a first installment of the freedom for which we are fighting’. If we are really fighting for turned up trouser-ends, I should be inclined to be pro-Axis. Turn-ups have no function except to gather dust and no virtue except that when you clean them you occasionally find a six-pence there.” Geroge Orwell discussing the war aims in some detail in ‘As I please’ 4th February 1944. ‘As I please’ was the title George Orwell used for many of his articles whilst a contributor to the left-wing publication Tribune during the 1940s. These articles covered a vast variety of topics from the defeat of fascism to the makings of a really good cup of tea, such was the eclecticism of Orwell’s writing. At best they demonstrate Orwell’s supremacy in radical thought – by which he would have meant the facing of uncomfortable truths. One of the best examples of this is his defence of the bombing of German civilians. 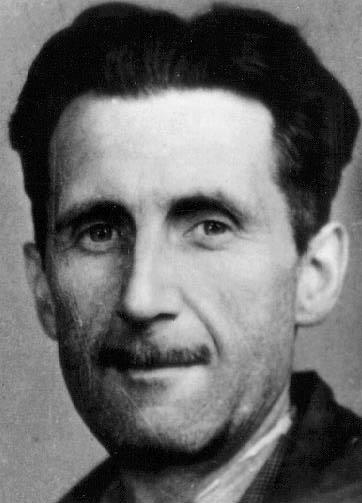 For Orwell, in meeting one’s war aims, it is better to kill a broad cross section of society – the old and the young, men and women – rather than to desimate the entire population of one group such as fighting age men. His arguement was that a society will recover more quickly form the former course of action than the latter. An unpalatable thought but probably true. And I have decided to appropriate the title ‘As I please’ for a number of occasional trips off topic I intend to make this year. A kind of homage to Orwell. The only rule will be that they attempt to offer a radical piece of thinking in an Orwellian tradition. First up is a thought that the death penalty is the surest form of escape from punishment. In the UK we rarely think about the death penalty. It has been a very long time since we decided it was an inappropriate punishment in a civilised society and stories of people being sent to the gallows now have a sepia tint and the recurrent stench of miscarried justice. Of course, our consciousness of the subject is periodically raised by stories from across the pond. Stories of Governors trying to show they are tough on crime by ending the lives of a record number of prisoners, inmates enduring intolerable years on death row and incompetent executioners taking inordinate amounts of time to successfully inject their lethal chemicals. We regard it all with a morbid curiosity and relief that this practice is part of our past and not our present – like bear bating, imperialism and cholera. That was until Iraq, of course, and our implication in the unseemly disposal of its former head of state. Putting aside the question of why, if his crimes were against humanity, Saddam was not tried by an international court as we demand these days, the whole sorry and sordid episode has reinvigorated my opposition to capital punishment in general. This opposition is not principally because state murder reduces the nation to the moral degeneracy of the criminal, though I think that it does. It is not principally because of its finality, offering no redress in the event of a conviction being subsequently found unsound, though this troubles me. It is not even principally because our universal moral compass as human beings prohibits us from killing other human beings, though I think that it does unless our lives are directly threatened. It is because the death penalty is a very poor form of punishment especially when the crimes are so heinous as this. In fact, in executing the condemned the State is preventing any sort of real punishment because in death one offers the criminal the surest form of escape – the absence of life. Death may act as a deterrent (although this is doubtful amongst power crazed megalomaniacs), it clearly acts as a form of rather repugnant retribution for those affected by the actions of the convicted and it certainly acts as a punishment for the family of the person put to death but in what way does it affect the criminal? Sure, the prelude to death is an extreme form of mental punishment but in the case of Saddam the period between conviction and execution (a matter of days) was so short it seems a derisory period of distress for the crimes that he committed. If one adds the time in which Saddam was incarcerated prior to his trial and the trial itself to his hours on death row he received less punishment for his crimes against humanity than the average burglar. Of course, there will be those that still cling to some sort of life after death fantasy, for whom the prospect that Saddam is spending eternity in the firey depths of hell warms the cockles of their misplaced hearts. But no doubt Saddam believed he was straight off to an eternity in paradise. Either way, our earthly wishful thinking doesn’t change the fact that death is just…well death. A scary prospect but hardlly a punishing reality. It is surely far better to make those convicted of odious crimes spend the rest of their lives denied the freedoms that we expect as citizens and forced to contemplate the consequences of their actions than to offer them an easy way out in death. Thanks Tom – excellent article. Is that every other mass murder commited by Saddam has UK or US fingerprints all over it. The death penalty is an easy escape for the guilty, but its often a wrongful end to the innocent. I’m fascinated by the way the UK news media have talked about the video made of the execution. There’s been a huge amount of outrage about the indignity of being filmed and how he was ‘taunted’ on the gallows. (Several commentators have wryly pointed out that it’s daft to be talk about how wrong taunting is when you’re about to kill someone). But the very strong impression you get from the reports is that the video shows only the taunting. (This is usually accompanied by a strong disclaimer that the reporter wouldn’t actually view the thing first hand). The thing that baffles me is that the video, widely available on You Tube, seems to show the entire event, complete with drop and dangling body. I can’t understand if this is some nefarious media control or a pervasive middle class media squeamishness but it’s bloody wierd that there’s a concensus to deny misreport the actual nature of the footage. I found the footage so profoundly disturbing I’d make it compulsory viewing. Orwell was right. Watching an execution makes it impossible to do anything but abhor the death penalty. Who is this ‘we’ that demands trial by international court? Me and my fellow bien pensant Guardian readers? The Iraqis had a perfect right to try and punish the man who brought terror to their country for so long. More generally – as the beginning of a series which will supposedly face up to ‘uncomfortable truths’, you seem to have chosen a rather comfy one to kick off with: capital punishment is bad. I do not predict a torrent of dissent. How about this? Blair was right about global warming, yesterday. Painful as it may be for us liberal idealists to admit, there is NO WAY any country is going to vote for a decline in living standards. It’s just wishful thinking. The logic of consumerism is way too powerful. Therefore we have to focus our efforts on technological solutions. The rest is just clucking to make ourselves feel better. I think As I Please is a very good thing. Death penalty apologists often seem to conflate 2 considerations – what killing someone as punishment will do for Us The Non Criminals; and what it will do to Them The Criminals. They are cleansing society and punishing an individual. Brilliant. Except that they delight in the power, the sanctimonious vindication, the cancelling out of a Bad Thing in the world. And then claim their motive is actually the latter: pure punishment. What pisses me off is that whilst society needs governing, the fact that it’s impossible to make the decision to use death as punishment without denying your own humanity is ignored so blithely. It reminds me of homophobes who believe homosexual partnerships should be banned: out of sight, out of mind. The first – almost consumerist (what will it do for me if this person is sent to the gallows?) – motive is displayed most virulently when prisoners manage to commit suicide in prison. A common reaction is to feel short changed: we are cheated out of that criminal’s suffering. And you can see it in the YouTube taunting, which seems (perhaps just to me) to be partly to ameliorate for the taunters, the fact that the criminal’s about to escape. Exclusion from free society is as far as I believe we can go in punishing another fellow human being. They’ve broken an implicit (and often explicit) social contract to live peaceably with others. But anything further, I don’t think we can justify. Ever. I think it’s an inviolable right for every human being, whatever their crime, to come to their own conclusion about their life, their actions, their remorse. Anything other than ostracism is despicable on our part. So I think that means I agree. PS. Seen Sir Winston’s comment since writing this. The victim’s (Iraq being the victim here, as you see it) right is important in any trial and punishment. Never absolute. But for a country (UK) whose aim was to bring democracy to another through invasion and force to support (a la Margaret Beckett) a form of ‘justice’ that we deplore, is wrongheaded at best, tragic at worst. If your crime is against humanity it is humanity that should try you and subject you to punishment – that is why we try the those guilty of crimes in the former Yugoslavia in an international court. The uncomfortable truth is not that the death penalty is a bad thing, it is that it is a rubbish form of punishment, if punishment is your aim. And as for your liberalism jibe – I am going post liberal. More of that next month though. i see this whole thing as some kind of guerilla marketing initiative. This just in via arts letters daily if anyone is checking up on Orwell. I just noticed Sir Winston O’Boogie’s point and just in case you’re checking comments it was a U.S. led kangaroo Shiite dominated court against a Sunni Dictator. Right up until he was strung up he was in U.S. hands which is why I don’t subscribe to the Iraqi people having tried the wretched man. The timing of the verdict was rushed to appeal to the electorate just before the mid term elections in the U.S.
Saddam wasn’t tried for the more heinous crime of gassing the Kurds because we (the free world) sold him the gas and that would have been, well, unpalatable to the civilised world. The general wringing of hands over the nature of Saddam’s final end is akin to the British tabloid buying public laying a field of flowers around Westminster Abbey for the ‘People’s Princess’. Weapons of Mass Delusion anyone?